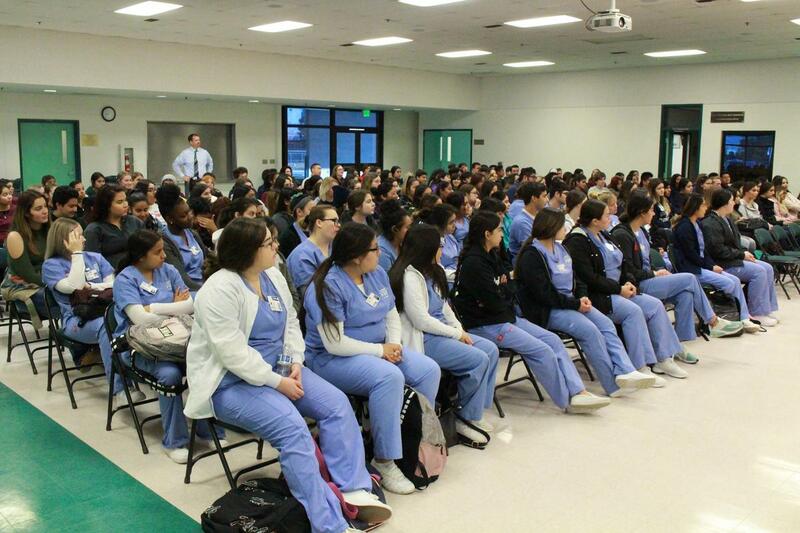 Students from Introduction to Health Careers, Sports Medicine, Nursing Assistant, Medical Assistant, Pharmacy Tech, and Dental Assistant attended the event that was held at the Kern County Ag Pavilion. 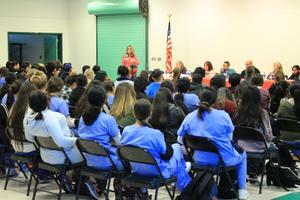 Dignity Health brought employees from Memorial and Mercy Hospitals to speak to the students about the different career pathways within the hospital. Students heard first-hand from industry professionals about their day-to-day jobs and learned their stories of how they built their careers. 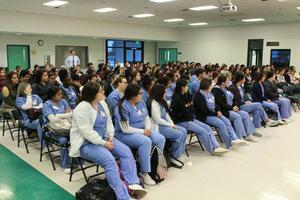 The ROC and Dignity Health plan to continue to develop this partnership and offer more opportunities to students in the future. As the workforce demand increases in the health care sector, partnerships between industry and education become increasingly more important to develop high-quality career training programs such as the ones offered through ROC. We are especially appreciative of Dignity Health Education Managers, Amy Humbert and Diane Biswanger, who worked with Brian Miller, the ROC principal, to develop this first-ever event.